The couch potatoes have left the building! 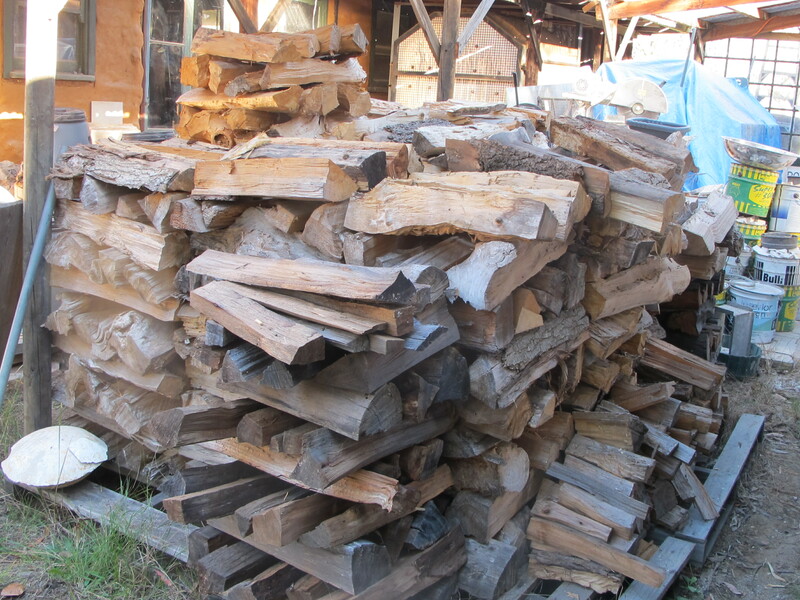 I don’t go as I have to get the wood kiln packed. 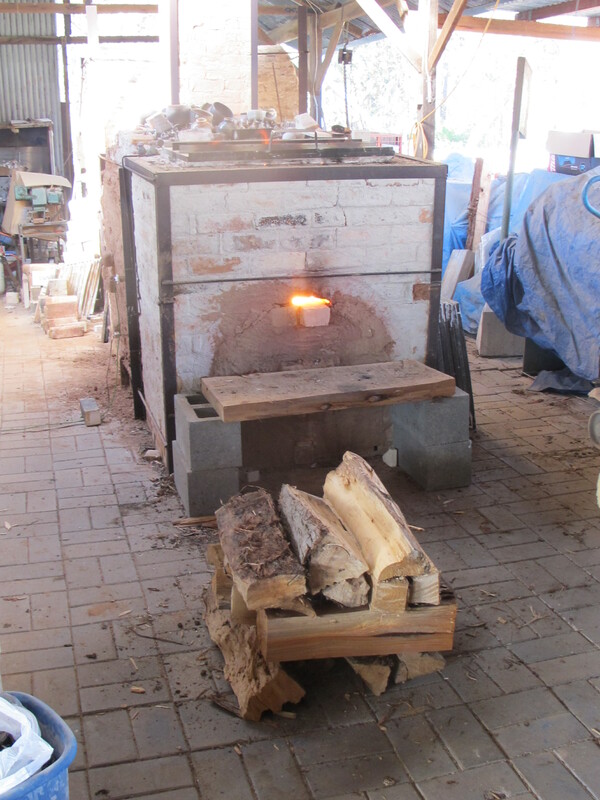 We have our next woodfire weekend workshop next weekend, so I have to pack the kiln today, fire it on Tuesday, cool it on Wed/Thurs and unpack late Thursday and Friday morning. Then clean it and the kiln furniture ready for the Saturday morning workshop. I must have been wicked! 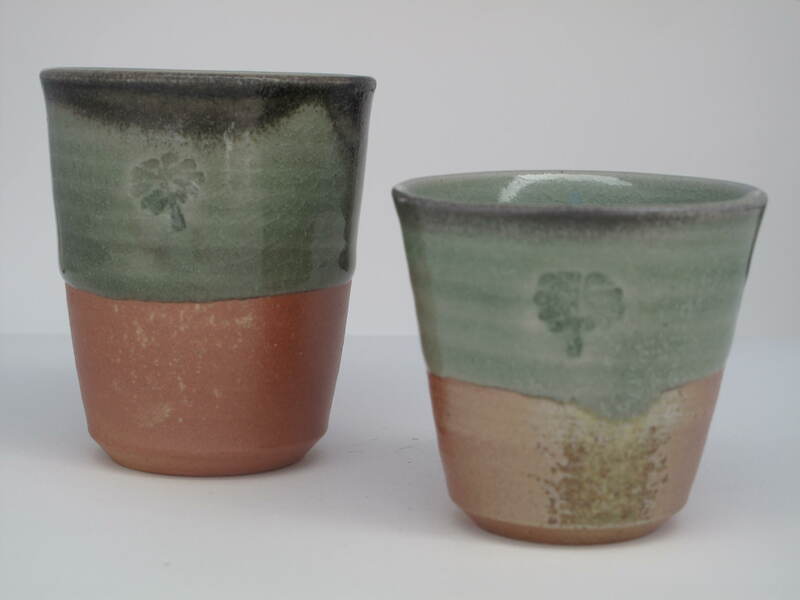 If I have everything prepared, as I have, I can sneak in one of my own firings in the kiln in-between the weekend workshops. On the cooling days, I will be out with the chainsaw cutting new fuel for the weekend firing. In between all this we have had Kate, our fantastic and very lovely, hard-working garden and pottery helper. She came for a couple of days last week to give us a hand, and what a delight she is to have around and we get so much more done. 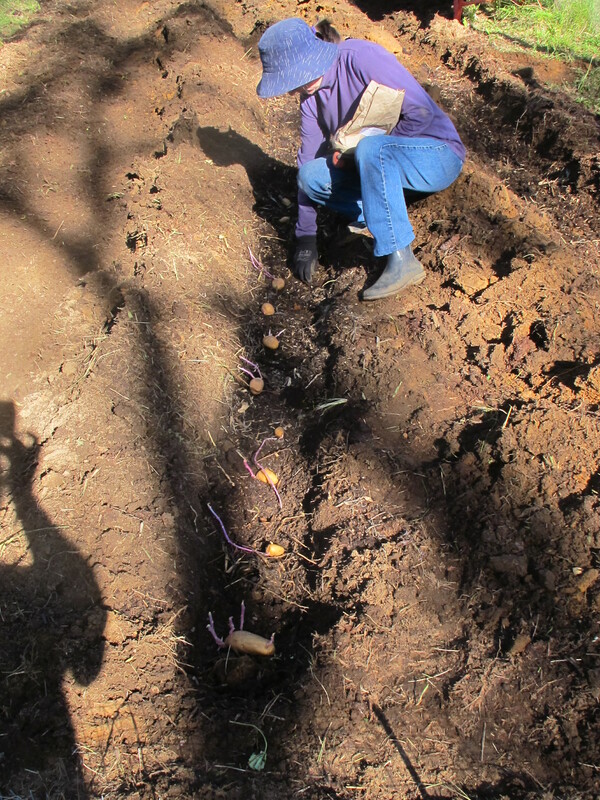 With her help, we have planted the very late – so late that they may even be early, potatoes, down in the pantry field. 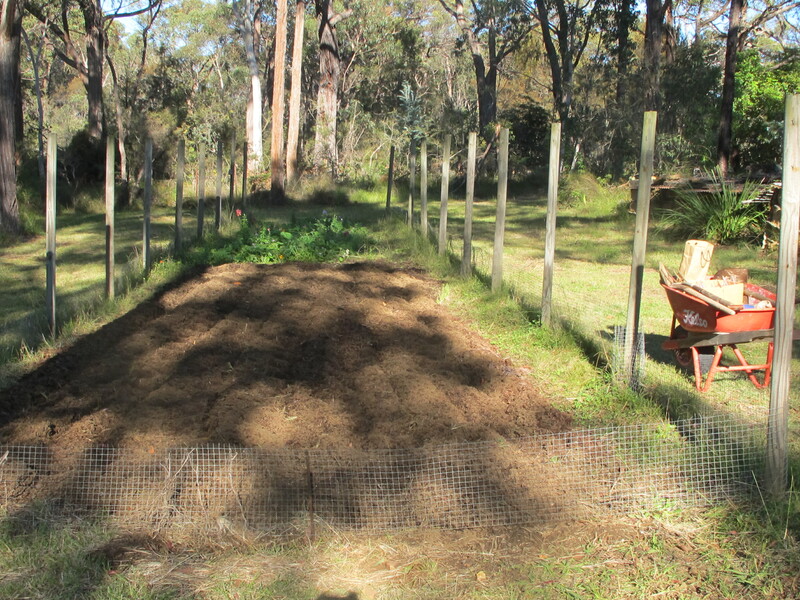 It isn’t really the right time for planting here now, but we had 3 boxes of summer potatoes that had completely sprouted into long shoots. They wouldn’t last till spring, so what the hell. 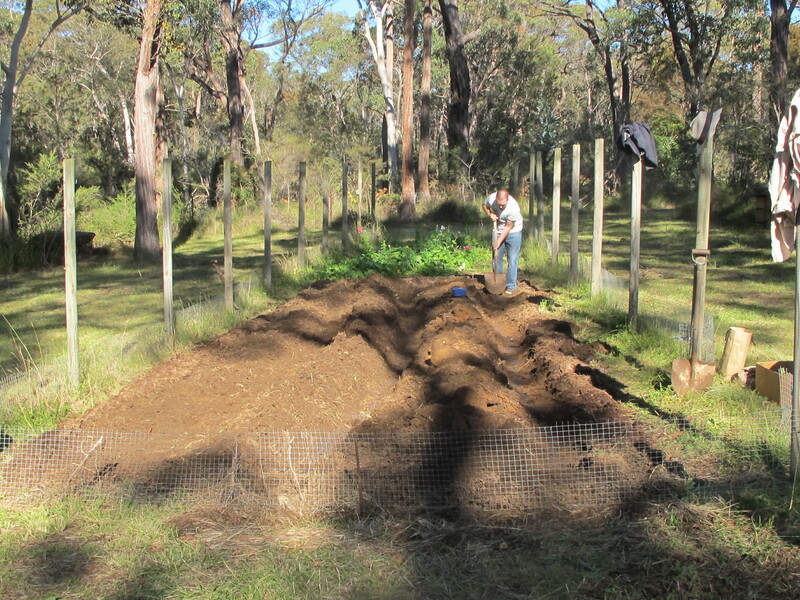 We turned the sod and our beautiful son Geaodie turned up to help us dig the furrows and plant the shooting tubers. Way too late for summer and very, very early for spring, so early that if they survive, they will make us Avant-gardeners. If the mild frost-free winter continues like it has so far, we may be lucky with them. If not, no loss, we’ll plant again in spring. 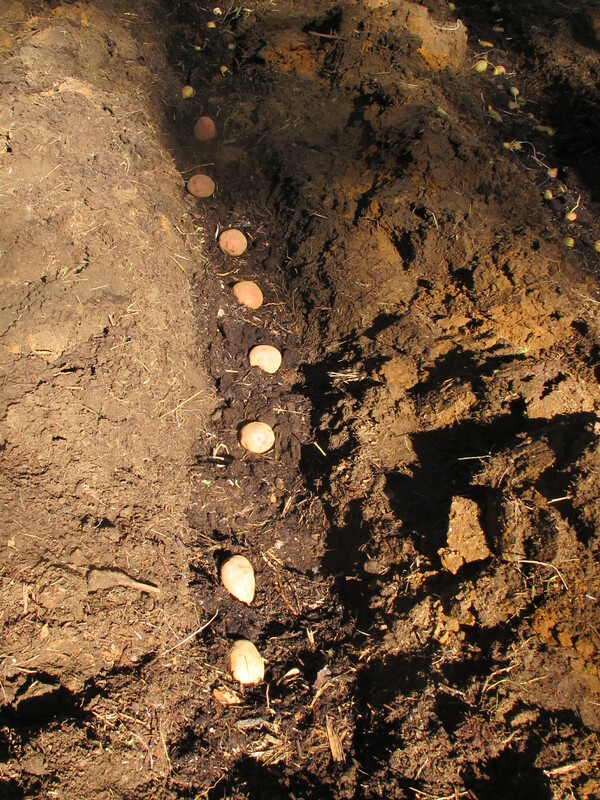 If we make successive plantings, we can get 4 or 5 harvests of spuds per year. One every couple of months. 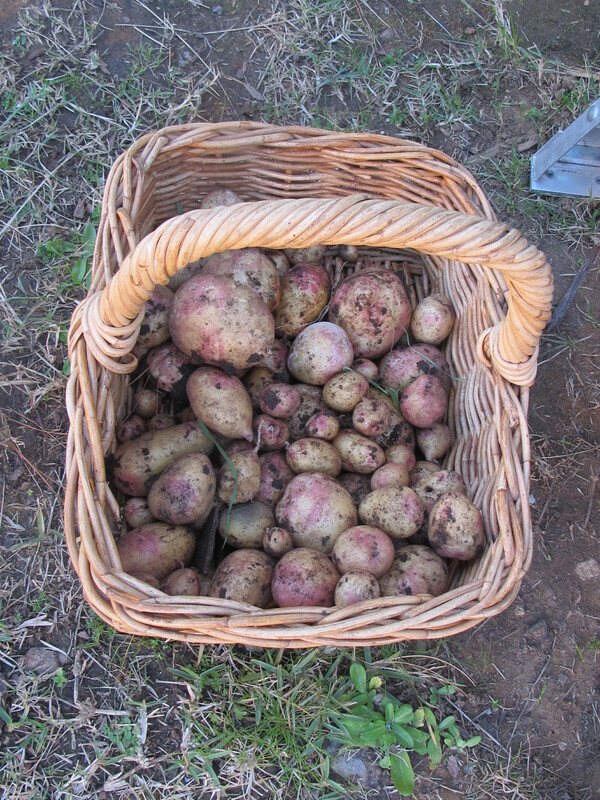 While I’m firing, Janine spends the day in the garden and while there, harvests a late row of King Edward potatoes. They look so good with their waxy, pale surface and beautiful pink blush. We have been growing Kipfler, Dutch Cream, King Edward, Russet Burbank, plus purple congo varieties. 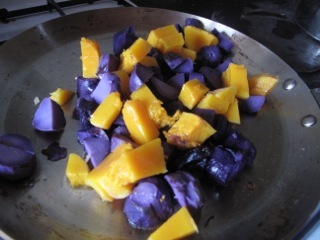 Purple congo grows very well here and self propagates, continually dividing and growing again from any little pieces that are missed at harvest. We have only planted it once 15 years ago, and it is still here and all over the place. We can nearly always find a plant or two coming up in some part of the garden. Dutch Cream, King Edward and Russet Burbank grow the largest crops for us and it was the remaining shooting tubers of these varieties that we have recently planted. 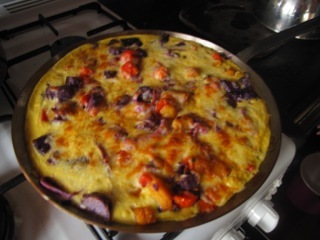 Purple Congo looks fantastic when it is included in a frittata. 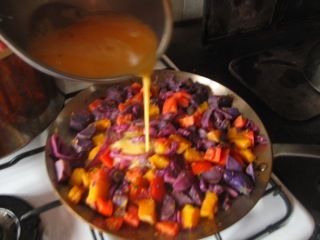 The colours look delicious! I’m up very early and down in the kiln shed just before 3.00am. I woke up, so I got up, rugged up and went down to start the firing. I usually don’t start firing till 4 or 5am, but I woke up, so here I am. It’s very cold, I have several layers of shirt, jumper and jacket, but I’m not really warm. The wind has an icy edge to it this morning. I’m trying a new way of packing pots much closer to the firebox. This area is commonly referred to as the ‘Zone of Death’. I’m well into the firing at about 1000oC when I hear a very ominous, growling crunch sort of muffled sound. I think that I’ve just lost those front pots. Never mind, everything is worth a try. Failure brings me one step closer to understanding the meaning of success and what it is that I’m trying to achieve. I’ll keep going and see what it was when I unpack on Friday. I try out all my new ideas with my own work first, never with students firings. I keep them as safe and predictable as I can manage. I don’t want to risk loosing students pots. I’m sure that some sort of understanding will emerge from this bad omen, maybe even something good will come from it? I’m writing this in the quiet space between stoking the kiln. I can’t type with the gloves on and it’s very cold in the wind without them. Cold fingers makes me a clumsy typist. I’ve prepared well, so there is not too much to do between stokes. 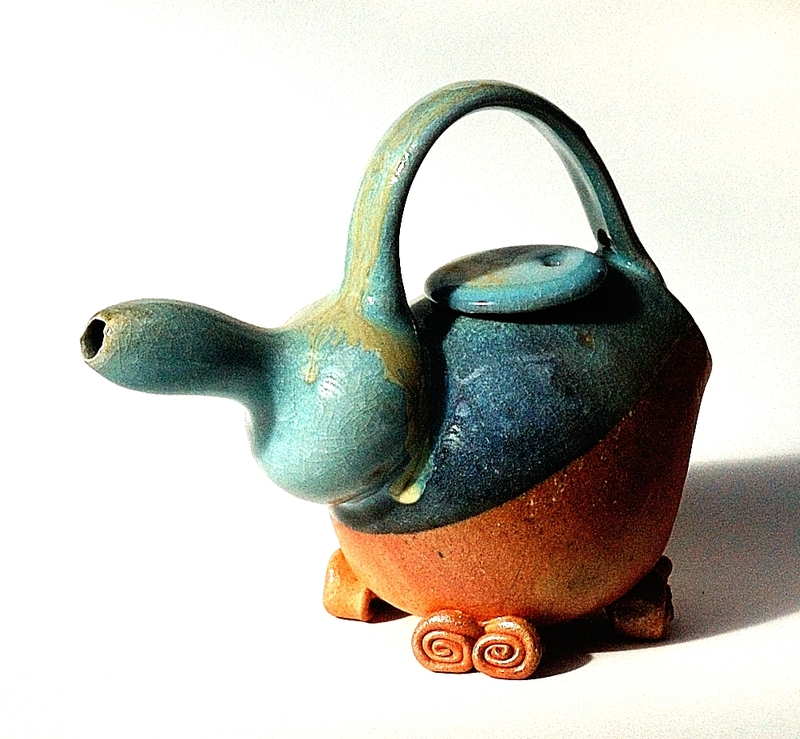 I can’t do anything that will take me away from the kiln. I must give it 100% of my time. I have to be here to listen and to observe, to take in all the silent signs of the fires progress. I have to anticipate the timing of the next stoke of wood into the firebox. It must be done at just the right time or the temperature won’t go up. It could even fall if I’m not very carefull. There is a rather disappointing feeling when the temperature drops. It goes down so much faster than it goes up. It takes concentration and skill to understand what is happening with the combustion and get the temperature to rise slowly and at the same time stay in constant, slow steady reduction atmosphere. I only have time to make a quick loo stop. I piss in a bucket, then fill it with water and go behind the kiln shed and water one of the citrus trees in the orangery, out of the wind and behind the north facing wall. I’m fasting today, it’s the second day of my fast. it saves a lot of time preparing and eating food. Food can be such a distraction from concentrating on the firing. Anything can go wrong at any time. Usually nothing does, but if or when it does, then I have to be there and react instantly. My brother ran the emergency ward of St Vincent’s Hospital in Sydney for a decade, when he was younger. When I asked him what it was like, he told me that it was long periods of boredom punctuated with moments of sheer terror! Firing isn’t quite that bad, but you get the feeling. Our life, like our firings is in constant flux, We can’t make too many plans. We just don’t have the certainty, we take it as it comes and respond appropriately. Just like a firing, we prepare as well as we can and hope for the best. We try to stay as mentally resilient as possible, so we only make small plans and coping strategies, modest and frugal ways in which we can cope in a rapidly changing world. Our world changes all around us constantly and much faster than we can imagine, or even comprehend, never mind plan and adapt to those changes. We have to remain flexible and open-minded. It’s quite difficult to live without expectations. In fact although I try, I just can’t do it. It remains a desirable objective. However, I often remind myself how grateful I am to be able to be here doing this. I’m so lucky and privileged! 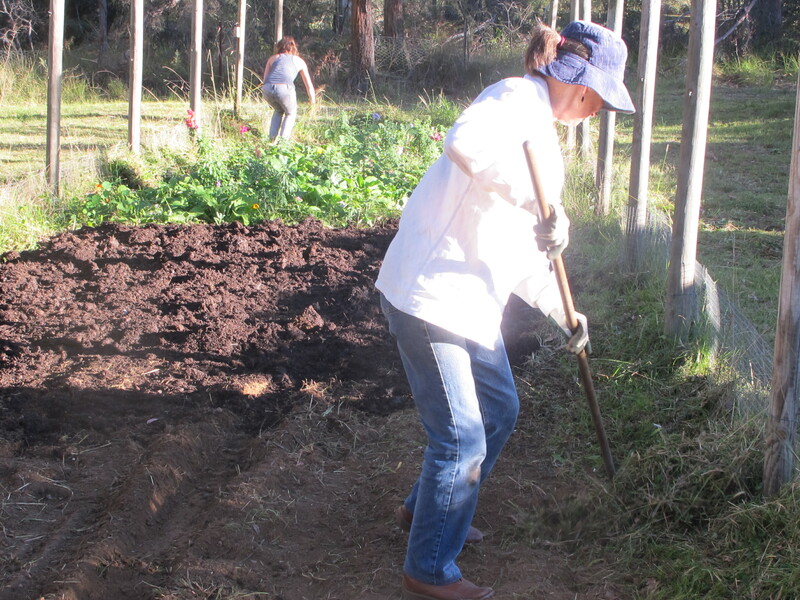 We are enjoying the fruits (and the veggies and nuts) of our summer labours. We are down to our last basket of almonds, but everything else is in stock in good quantities. 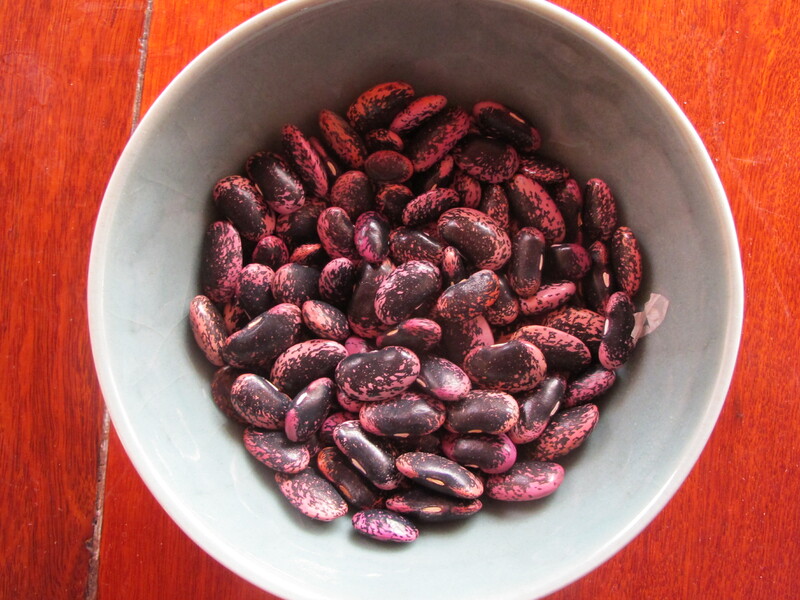 Tomorrow we have wonderful long-time friends coming for lunch and we will be having minestrone. 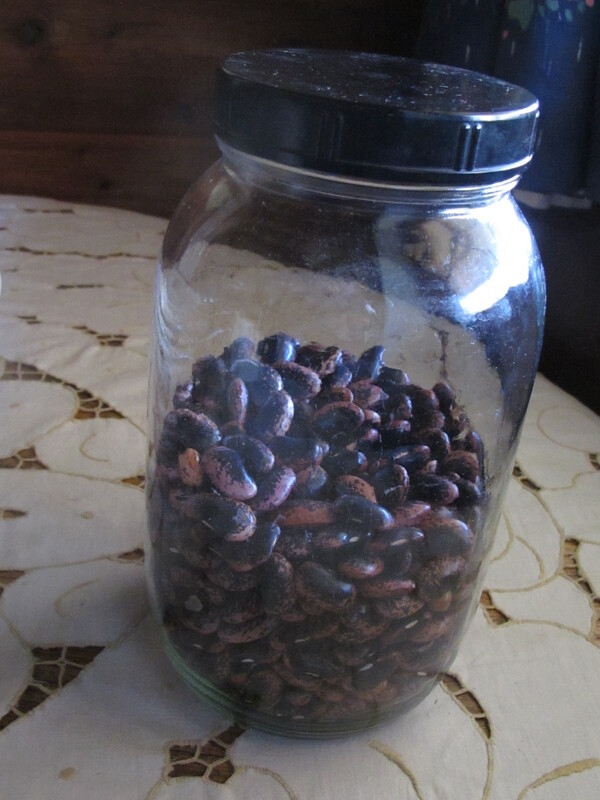 I started by soaking the dried beans last night. 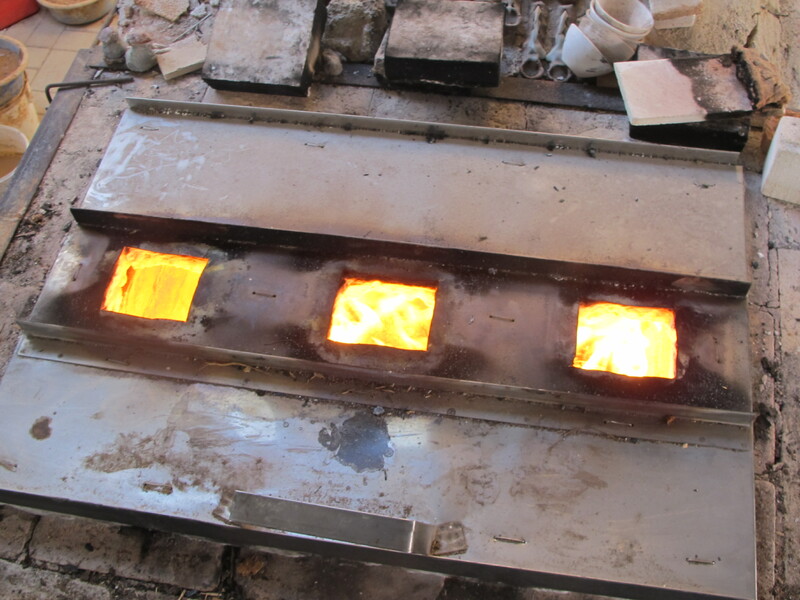 I’m looking forward to a leisurely lunch, before returning to the chainsawing of the next load of kiln fuel.